Ok Guys... if the title didn't tip you off, let me further expound that this gear review is for Girls Only. So go ahead and hand the reigns over to the outdoor woman in your life. Believe me, she'll be interested in reading this. You? Probably not so much. Don't say I didn't warn you. So, ladies. I have owned and used my GoGirl for almost a year, and I've mentioned it in passing a few times. It's just not something that we all want to discuss with the public - our bathroom habits are private endeavors. Well, it's high time the GoGirl makes its Review Debut on our blog. This little piece of medical grade silicone has changed my life, and is always near the top of my packing list. The GoGirl - if you don't know - is a feminine urination device that allows you to go anywhere, anytime, and all without dropping your drawers. No more squatting, no more peeing in your boots, no more risking your bare self to poison ivy, insects, or peeping toms. You, my girlfriends, can pee standing up. According to GoGirl, "you won't be like a man, but you'll pee like one." The GoGirl is essentially a funnel that you place - well, you know - and then ... go. It's washable, flexible, and disposable as well (in a trash can of course). I prefer to wash mine and reuse. It comes in a cute, little, discreet tube that fits soundly in your pack or pocket, and inside you can store some toilet paper and a small baggie to place the device in after use. Although I typically only use mine on the trail, I've been carrying it with me more often now that pregnancy has me searching for a bathroom every 10 minutes or so. 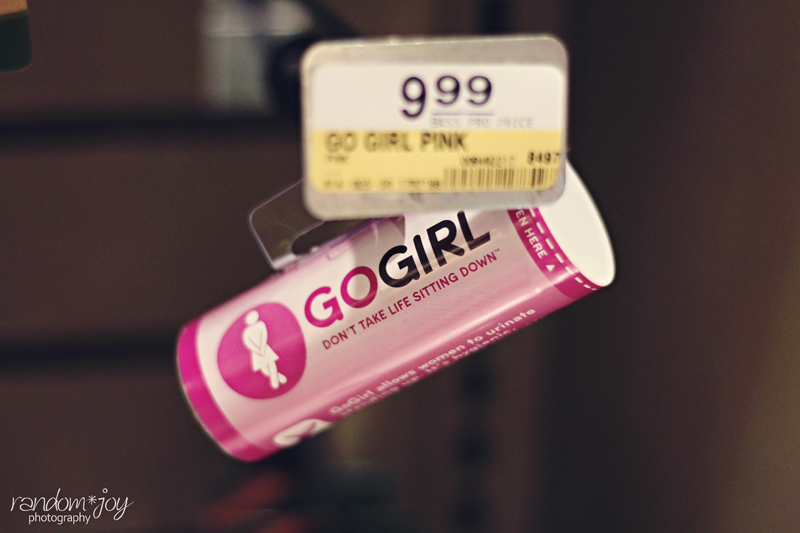 The secret to using the GoGirl is the flexibility and the seal it creates. It fits you, no matter what shape you are, and it won't overflow on you or cause you to mess yourself if you make sure you have a good seal in the back. And that's the most important... the seal in the back. 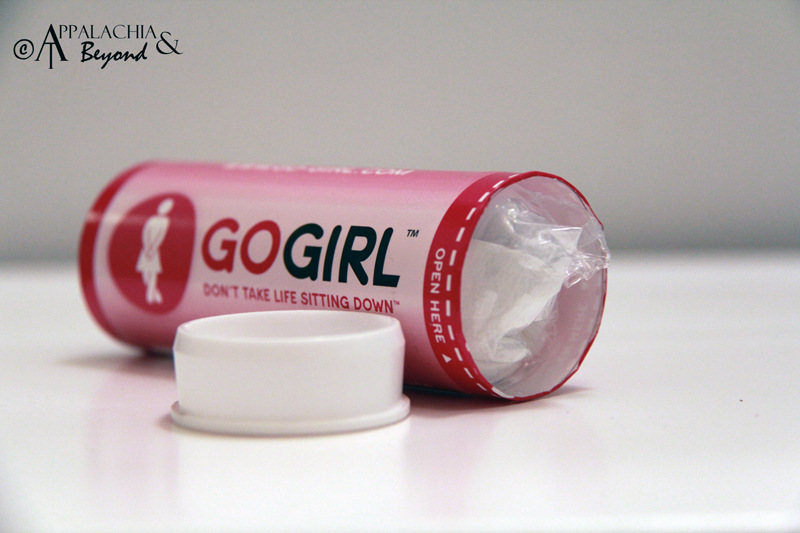 The GoGirl Team has specific instructions on how to use it, how to repack it, and suggests that you try it out, practicing essentially, in the shower a few times before using it out and about - but I never did that... and I've never peed in my boots, dribbled down my leg, or overflowed into my drawers. The GoGirl comes in Lavender with a pink tube or Khaki with a camouflage tube. I was afraid the Khaki would look too.... ummm... real, so I chose the Lavender - but color really isn't an issue. It's functionality, and the GoGirl gets an A+ for that! Expect to pay around $9.99 for one, reusable GoGirl device (plus shipping, of course). I've also seen them at our local Bass Pro Shop as well - for the same price. Sometimes they're cheaper at Amazon. So girls... do the right thing, and "Don't Take Life Sitting Down!"